The staff of the Physical Planning Unit welcomed Dr the Rt. Hon. 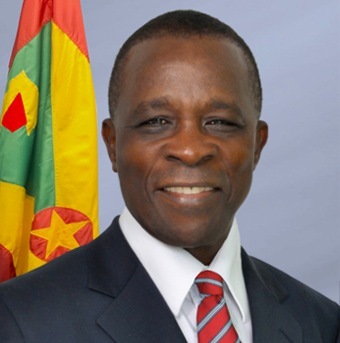 Keith Mitchell, Prime Minister and Minister with responsibility for Physical Development on his first visit today, Tuesday, 27 March. The Prime Minister was introduced to and met briefly with members of the Planning and Development Authority during its regular meeting this morning. During his brief remarks, he reiterated the important role of the Authority in the orderly development of land in Grenada and expressed concerns with the developing land use patterns. Dr Mitchell also expressed the need for the Physical Planning Unit to provide professional service to citizens at all times and emphasised the need for equity in the treatment of citizens who seek the service of the unit. He reminded the authority of the new Physical Planning and Development Act of 2016 and expressed the importance of the implementation of all aspects of this act. The Physical Development Authority (PDA) is the regulatory body for the orderly and progressive development of land, the grant of permission to develop land and for the use of the land. The PDA regulates the construction of buildings through the Physical Planning Unit.